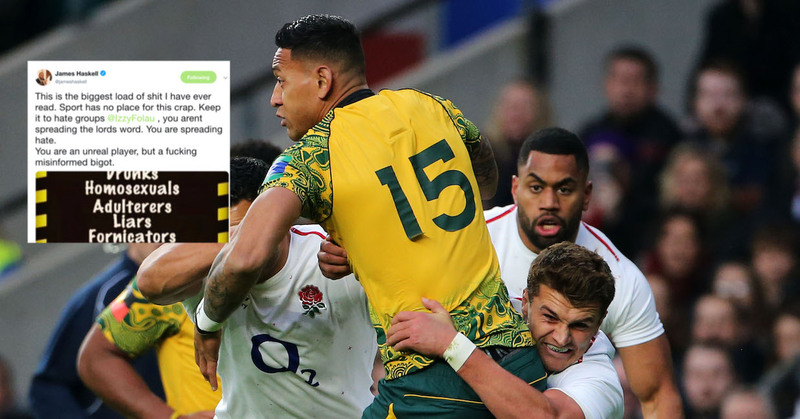 Rugby Australia has described an Israel Folau social media post, in which the full-back says “hell awaits” gay people, as “unacceptable”. In a statement, Rugby Australia said the post “does not represent the values of the sport and is disrespectful to members of the rugby community”, adding that its integrity unit had been “engaged on the matter”. One player to directly respond to Australia international was James Haskell with this well-worded tweet.